Preventing dental issues before they happen. We provide exceptional preventative care, including exams, cleanings and digital x-rays. Early detection of dental problems is essential to gain optimal oral health. It is recommended for all patients to schedule a six-month dental check-up exam. Here’s a list of the various preventative dentistry services we offer. In order for you to maintain great oral health, this level of quality needs to extend to your personal oral hygiene routine. Taking proper care of your teeth at home can help you prevent periodontal disease and tooth decay from developing. Our advanced digital X-rays magnify and enhance your teeth for better diagnosis of treatment. 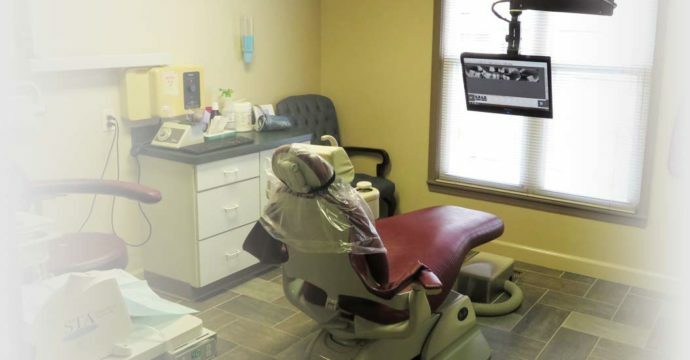 This digital X-ray allows us to take an image of your teeth and put it into an imaging program. With this program, we are able to use a number of tools that will allow us to take a closer look at your teeth and surrounding structures with remarkable accuracy. We offer fluoride treatment to prevent tooth decay for our patients. Fluoride helps by making teeth more resistant to the build-up of decay causing plaque and sugars. It can also speed re-mineralization as well as disrupt acid erosion in teeth. Sealants are highly effective in preventing tooth decay and cavities on your molars and premolars. Sealants act as a barrier and protect the enamel from plaque and acids. They may last for several years before a reapplication is needed. As long as the sealant remains intact, the tooth surface will be protected from decay.